DISCLAIMER: The opinions expressed here are do not necessarily represent those of the author’s. This is merely a summary and analysis of different pieces of literature. Read it as you may. Humans are alike, for they share the human situation and its inherent existential dichotomies. They are unique in the specific way they solve their human problem. The infinite diversity of personalities is in itself characteristic of human existence. He argues that many of these character traits are to be understood as a result of acquiring them to live and prosper in a particular organisation or society; what he called “social orientation”. The term “Personality Market” was incepted by Dr. Erich Fromm. He discusses that the principle is the same on both the personality and commodity market. Its true that our current capitalistic and technology-driven economical system would not function if people were not skilled in the particular work they have to perform. You could be the nicest doctor with a big smile and a beautiful office overlooking Park Avenue, but you will not be successful if you didn’t have, for the least, minimal medical knowledge and skill. However, given an “acceptable” amount of skill, if you compare the weight of skill vs personality in our current age, you’d find that in most cases personality would be more in demand. To put it in layman’s terms: Success depends largely on how well one can sell himself or herself on the market; how well they can get their personality across, how nice a “package” they are; whether they are “cheerful” and “fun to hang around”, “ambitious and aggressive”, “reliable”; what clubs they belong to, what are their hobbies and outside-work activities, and most importantly, whether they know the right people. The degrees of the varies depending on the job/market in question will vary of course, but regardless of the differences, one very important condition has to be fulfilled: to be in demand. Of course, it doesn’t sound very bad when a society and its culture drives an individual to be the best version of themselves and strive for their goals. There is nothing wrong with working towards one’s own goals and admirations. However, that’s still one side of the equation. Taken a bit closely, the image would get blurry. As any organisation in a modern capitalistic economy, the goal would be to maximise profit. It also follows that the supply for a commodity has to fulfil the ever-increasing demand. Since the commodity in question with this orientation is an individual’s personality, a person will not be concerned with their life and happiness, but with becoming “sell-able”. Dr. Fromm compared such a feeling to how would a common commodity, such as a handbag feels, if it could. Each handbag would try to make itself as “attractive” as possible in order to attract customers and look as expensive as possible in order to obtain a higher price than its rivals. The handbag that is sold for the highest price to the most prestigious customer would feel elated and “most-valued”, in contrast to the ones that are not sold which they would feel sad and convinced of its worthlessness. 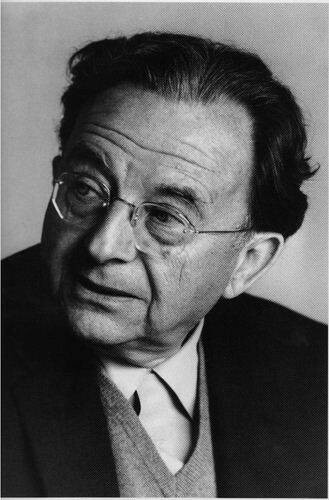 > # “Since modern man experiences himself both as the seller and as the commodity to be sold on the marker, his self-esteem depends on conditions beyond his control” — Erich Fromm, Man for Himself. To put it in modern terms, “being the right person”, constitutes half the equation while “being at the right time and place” constitutes the other half. A genius software engineer born in Syria or Africa would not nearly have half the same chances of success as a mediocre software engineer born in Germany. The the point of this article is not to preach for a system better than capitalism. I am in no way an economist and have very little knowledge concerning economy. What I’m trying to illustrate is that an individual born and raised in such a social orientation, who might not have had the chance to understand their position and orientation, would have their self-esteem tied to things outside of their own control, what the Greek Stoic philosophers would call “Externals”. What results would be an individual that has a very malleable set of skills dependent on his market, but might not be as fulfilled or versed in the art of living or recognising their selves as an individual with an identity specific to themselves and not to a market. The degree of insecurity that results from this orientation can hardly be overestimated. If one feels that their own value is not constituted primarily by the human qualities they possesses but by an external force, such as the modern market that has an ever-changing set of rules and conditions, one’s self-esteem is bound to be shaky and in constant need of confirmation by others. Hence they are driven blindly to strive for success, regardless of his emotional state; helplessness, insecurity and inferiority feelings are the result and that is, in my humble opinion, one of the minor-turned-major, snowballed reasons of the 20th century neurotic afflictions. The feeling that one’s own identity is tied to that of an ever-changing sea of variables is in no way an issue to be underestimated.